Sweet and spicy bread pudding. An absolutely delicious way to end the meal. 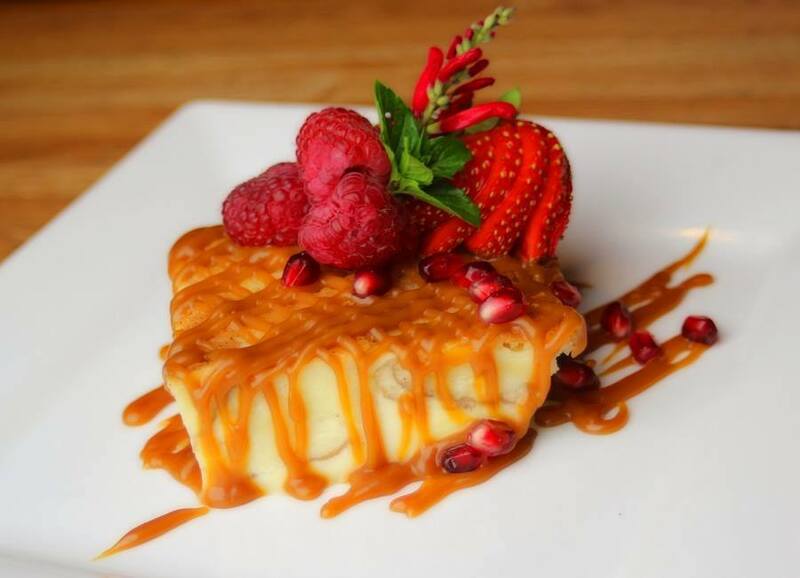 This rich and custardy dessert is house-made and finished with a splash of caramel and a beautiful assortment of luscious berries. Guaranteed to warm your belly and leave you satisfied!